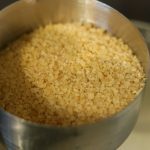 Samo seeds/Sama seeds / sama grains/samvat grains or barnyard millet are few of the many names , of this little mighty grain. 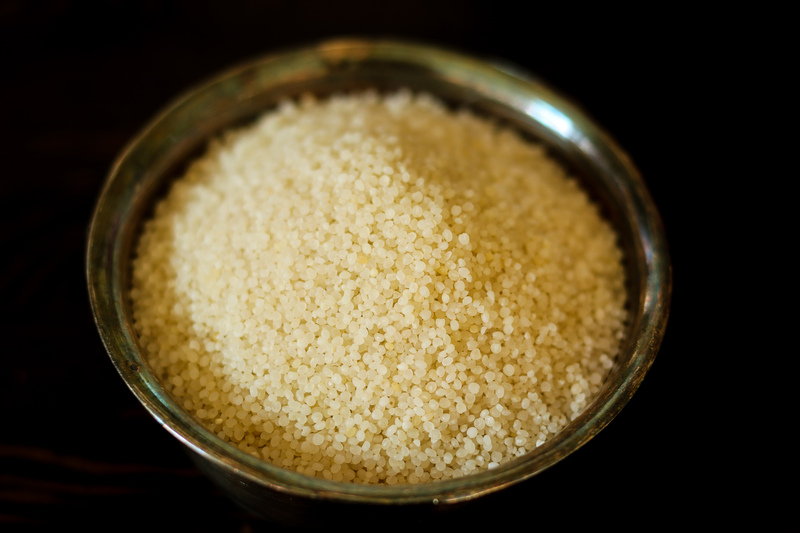 This grain is the main ingredient of this “Vrat kheer/samo seeds kheer/barnyard millet pudding” These are tiny, white, round grains belonging to the millet family. In India, as cereal grains are not consumed during fast, samvat is one of the very popular ingredients, used to cook variety of dishes during Navratris. While cooking any rice based dish during fasts, samvat or sama grains are used instead, as these do not belong to the rice family but act as an healthy alternative, and taste really good. 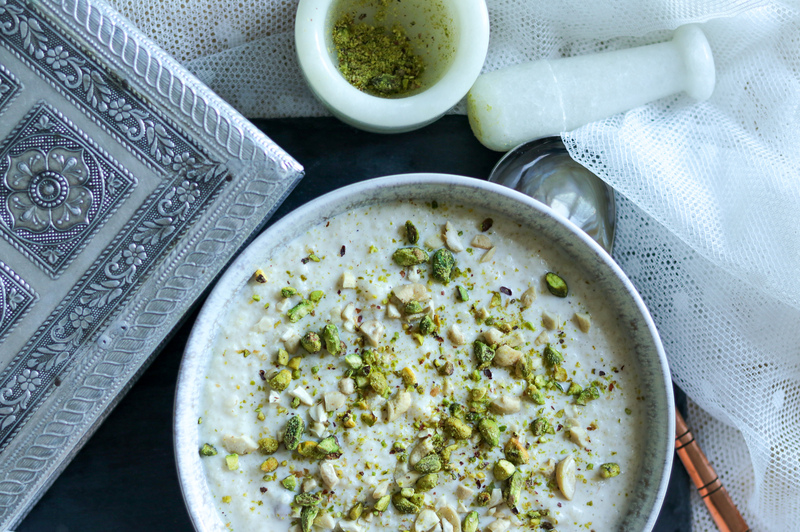 Vrat Samo seeds kheer/Barnyard millet rice pudding, is one of the, sweet dishes that are prepared during the navratri fasts. 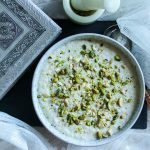 It tastes just like the regular rice kheer/pudding that we regularly cook.But this is not rice, and best thing is, this grain is Gluten free!! Yes, so people looking for gluten free options can surely add this dessert in their menu. To start with ,soak the Samo seeds in water for almost 1/2 hour. This helps them cook quick.Drain and keep aside. 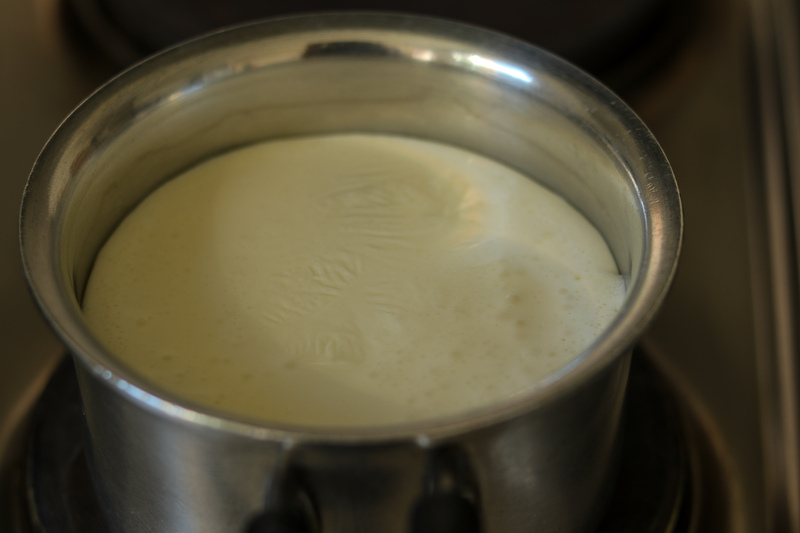 In a separate deep bottomed, heavy pan, bring milk to boil. 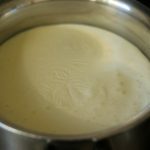 I prefer using whole milk in this, as it gives a very creamy consistency.You can use skimmed milk as well. 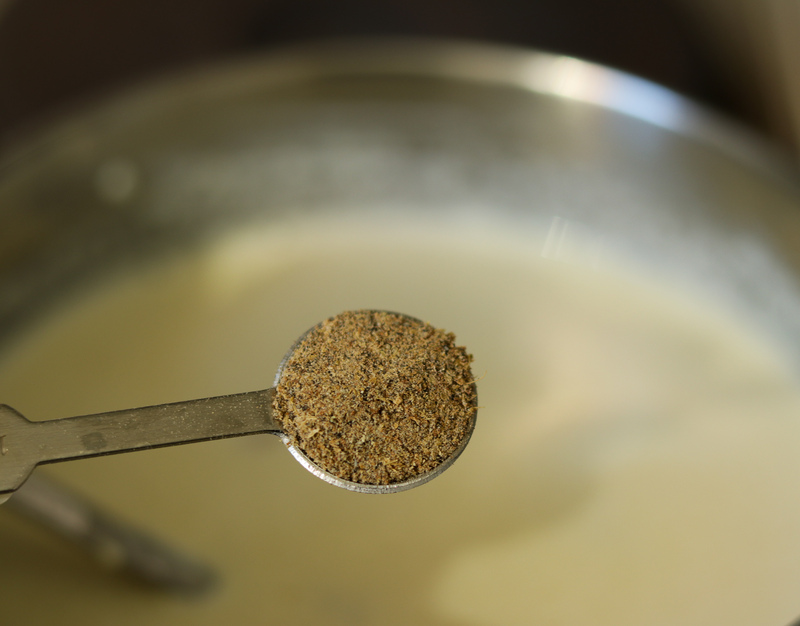 Once the milk is boiled, lower the heat, and add samo seeds/ millets. Let it simmer on slow heat for about 15-20 minutes. Keep stirring in between, making sure it does not stick to the bottom of the pan. 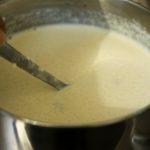 You will get to know , that it has reached the desired consistency, when the milk is creamy, and the samo seeds are very soft. 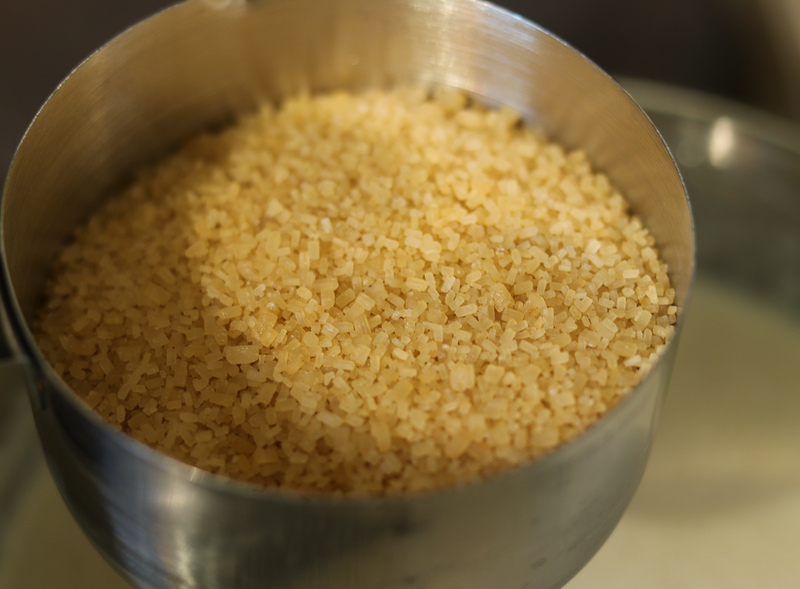 These grains and milk will form a very creamy consistency. Now,add chopped nuts of your choice. I added cashews, pistachios and raisins. 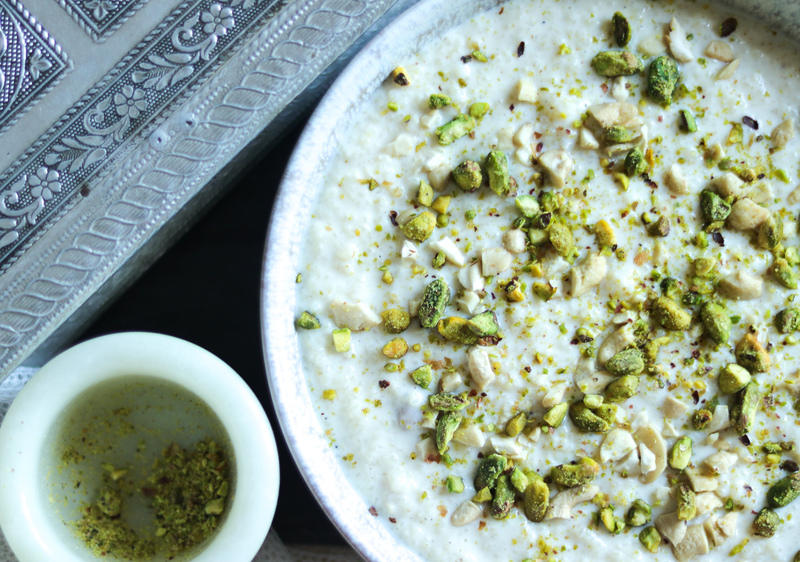 You can make this without nuts as well, or add almonds/ blanched almonds and melon seeds. Mix the nuts well. Add cardamom powder (or you can crush 5-6 cardamoms and add those). At last, add sugar and mix well. You can have this hot or warm, or chilled. I love it chilled, but I really don’t mind it warm as well. 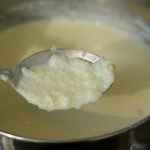 It tastes really creamy and luxurious. You can garnish this with chopped nuts, edible gold or silver foil, or rose petals. Other vrat/ fasting recipes are here- pumpkin halwa. 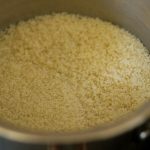 Soak samo seeds in water for almost 1/2 hour. This helps them cook quick.Drain and keep aside. 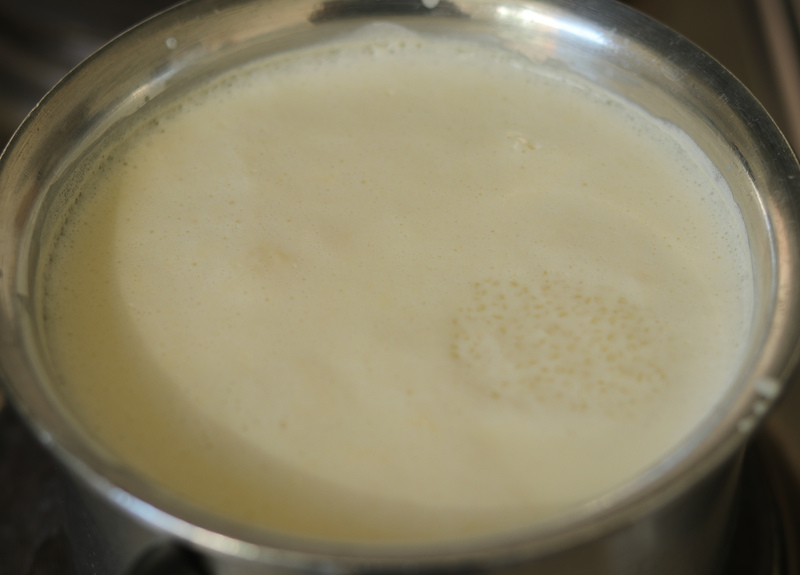 In a separate deep bottomed, heavy pan, bring milk to boil. 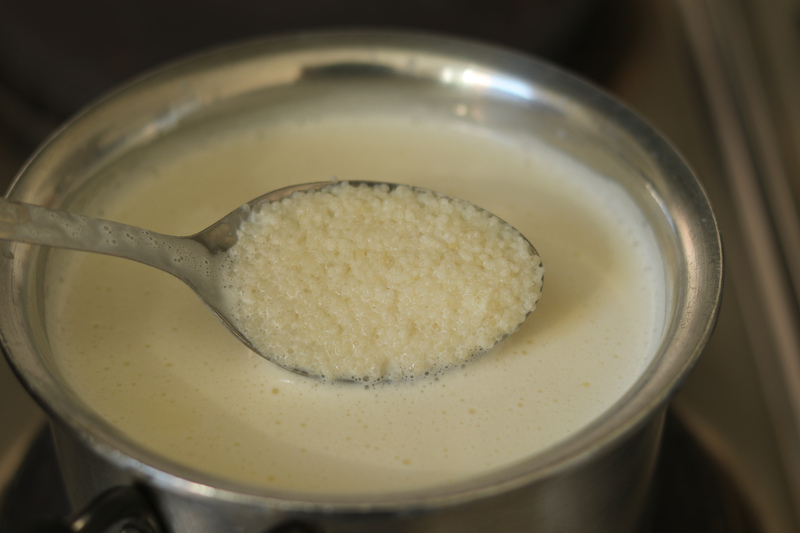 Heavy bottomed pan is important, otherwise the milk will stick to the bottom of any other pan. 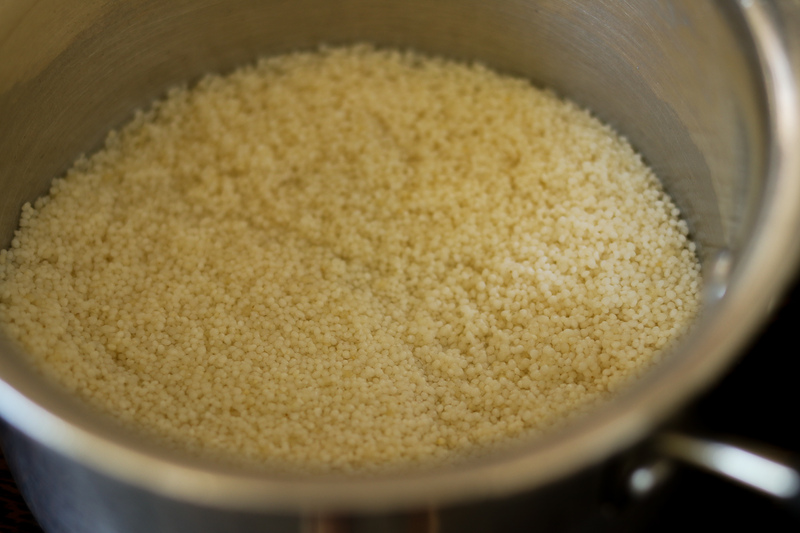 Once the milk is boiled, lower the heat, and add samo seeds/ millets. 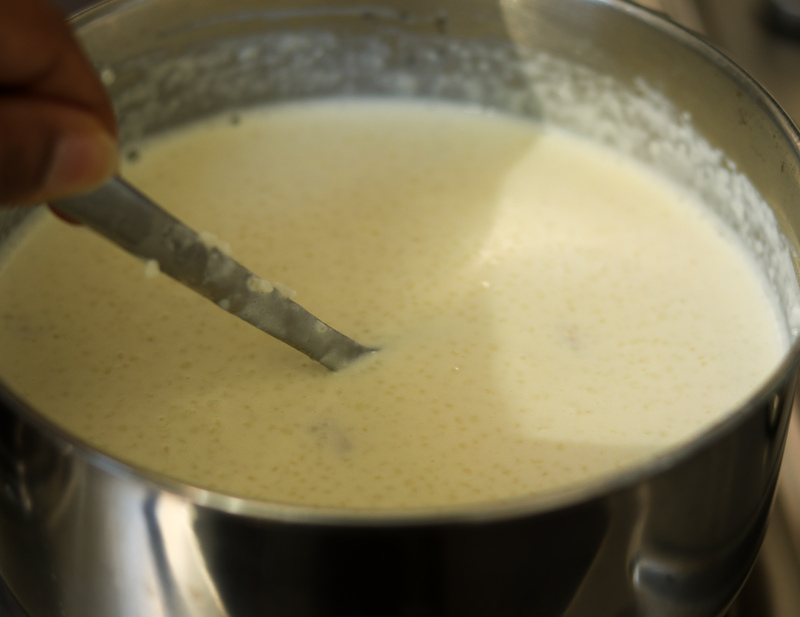 Let it simmer on slow heat for about 15-20 minutes, or maybe more till it reaches the right consistency. Keep stirring in between, making sure it does not stick to the bottom. 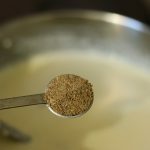 The desired consistency is reached, when milk is slightly thickened and creamy, and the samo seeds are very soft. 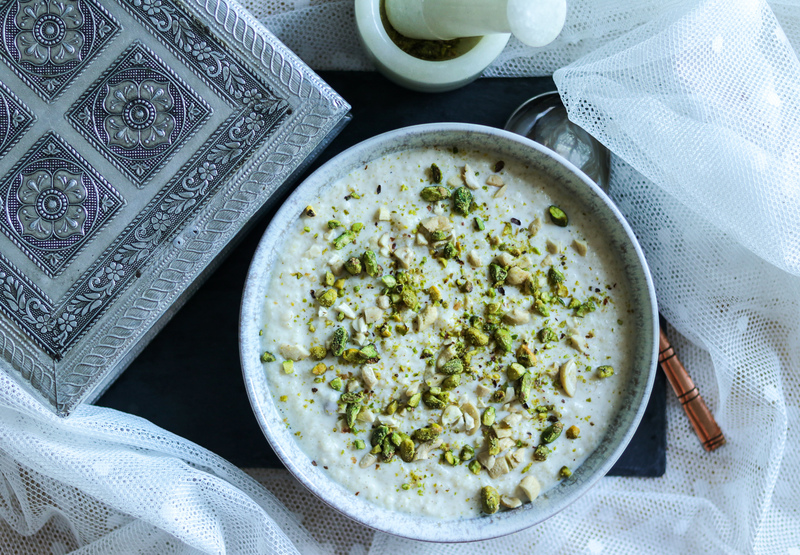 These grains and milk mix together and form a very creamy consistency. Now,add chopped nuts / raisins of your choice. Mix well. At last, add sugar and mix well.Turn off heat.You can adjust the sugar qty, as per the sweetness you prefer. Garnish this with chopped nuts, edible gold or silver foil, or rose petals. Serve it hot or warm, or chilled. I love it chilled, but I really don’t mind it warm as well. 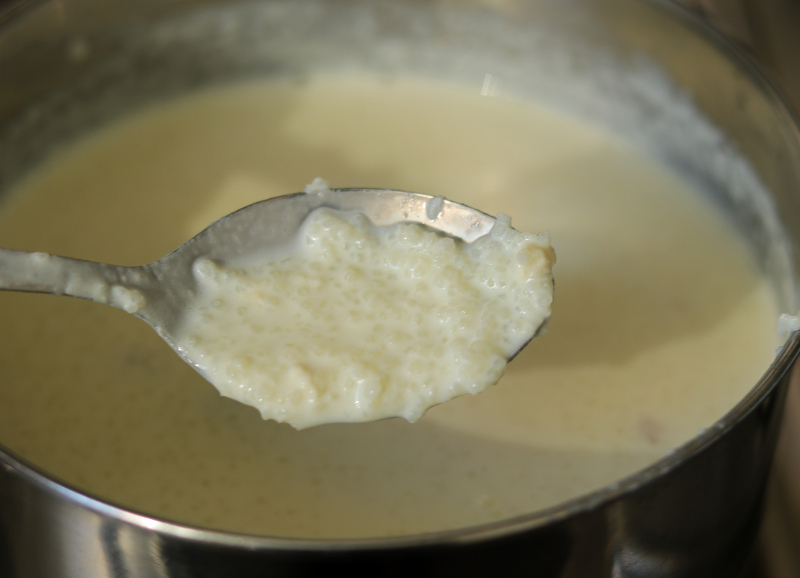 It tastes really creamy and luxurious. 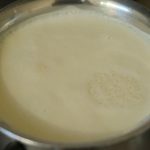 I prefer using whole milk in this, as it gives a very creamy consistency.You can use skimmed milk as well. Adding nuts is optional- I added cashews, pistachios and raisins. 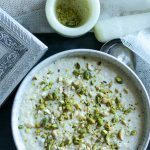 You can make this without nuts, or add almonds/ blanched almonds and melon seeds, or any nuts you prefer. 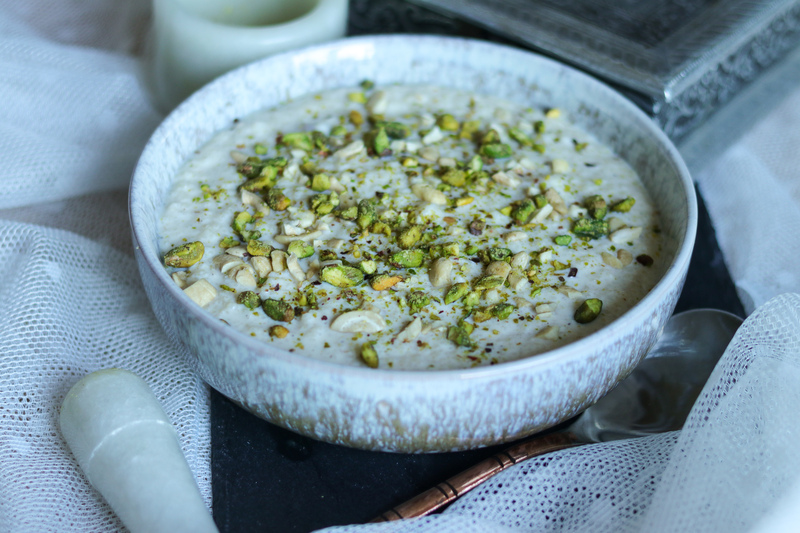 Tip- Once the kheer/pudding has cooled, adding a few drops of rose water, gives a really nice ,mild, rose flavour to this kheer/ pudding. Make sure you use organic rose extract, and don’t add too much.